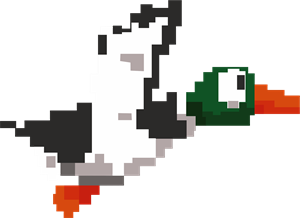 The Southern-Fried Gaming Expo is all about fun, but a little competition never hurt anyone. Listed below, please find more information regarding individual video game tournaments during the weekend. Events may require advanced signup, but all events are included with your regular membership price unless noted. We love our sponsors, and they love you! Last year Stars and Strikes brought you the World’s Largest Pac-Man, before that, the GIANT Pac-Man Battle Royale! 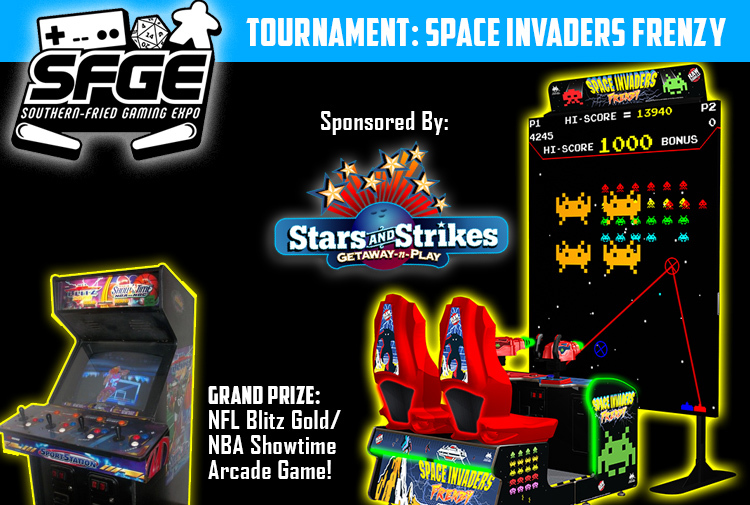 This year, our friends at Stars and Strikes are bringing the gigantic classic flashback, Space Invaders Frenzy. 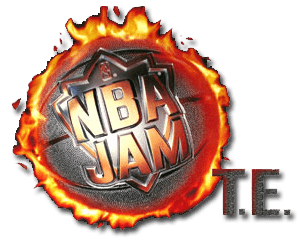 We’ll be hosting a tournament on the game and if you win, you could take home your very own arcade game- a 4-player Blitz 2000 Gold/NBA Showtime! The start time is TBD, but be sure to check our upcoming schedule to see when you can blast your way through aliens! Last year we debuted Nintendo’s long-lost Sky Skipper arcade game. This year, we’ve got something else up our sleeves…ZOAR! Ever heard of the arcade game Zoar? We didn’t think so. This little gem from Data East didn’t find much traction in the arcades in 1982 and was lost to obscurity. It’s so obscure, in fact, that there’s only ONE recorded high score on the record books for this game. What does that mean? 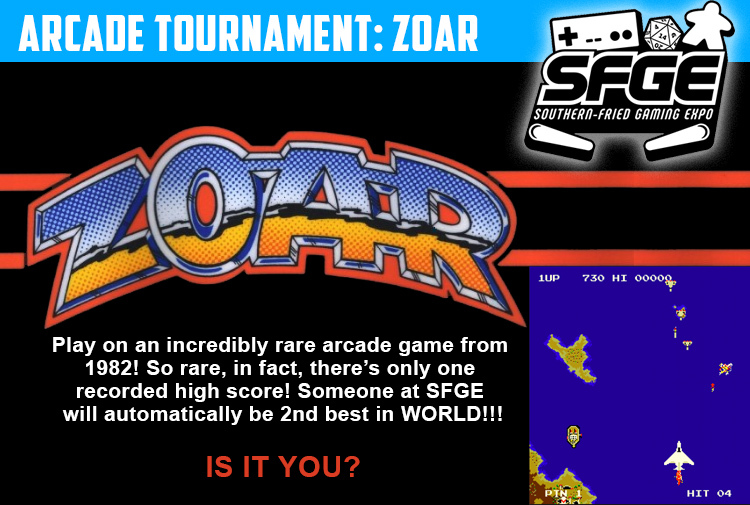 Well, it means that when we bring our brand-new, never-played Zoar arcade cabinet to SFGE, someone will have the chance to be the second best Zoar player IN THE WORLD!!! Will you take home the crown? Players must be available at 20 minutes prior to tournament start time. 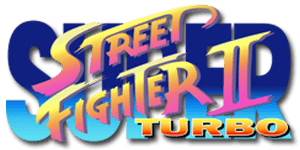 Players must abide by these the official rules of the Retro World Series, including gameplay rules, as well as the venue and expo rules. Sudden Death with a tied percentage/stock count will NOT determine the outcome of a tied game. A playoff match with 1 stock/2 minutes will determine the winner. There will be no loading anything on to the tournament consoles. No registration required – just show up!